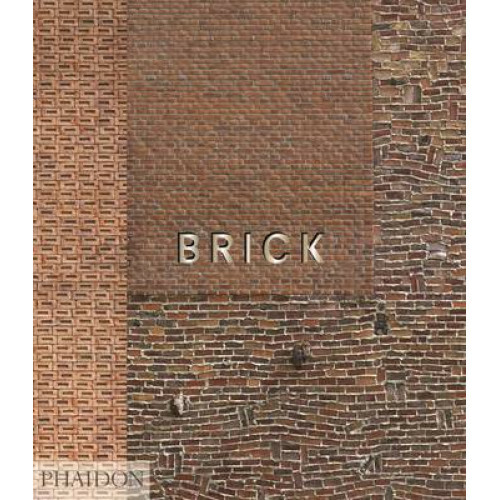 Brick is a fresh, insightful and surprising look at one of the world's most familiar and popular building materials. From the strange remains of the Ziggurat of Ur dating from 2100 BC, to formidable mills of the industrial revolution, the humble brick has been an architectural staple for centuries. The world's best architects have explored the qualities of brickwork. Alvar Aalto, Antoni Gaudi, Jorn Utzon, Frank Gehry, and Mies van der Rohe all built with the material, and bricks were integral to Frank Lloyd Wright's vision for an American vernacular in his Prairie Houses. Lesser-known newcomers have created some equally striking and memorable structures, from the stunning Winery Gantenbein - built by robotic arm - to the audacious Kantana Institute, an unprecedented vision in a Thai rainforest. Brick is a beautiful and informative visual exploration of a material that is often overlooked, and sometimes considered limiting, but is actually full of spectacular potential. "Sumptuous and intelligent." Metropolis Magazine"
William Hall trained at Central Saint Martins in London and began his career in the office of the minimalist architect John Pawson. Hall now runs his own design practice in London, working with clients such as Calvin Klein, the Henry Moore Institute and Tate. William is the author of Concrete, also published by Phaidon Press.